This colourful salad offers tangy flavor and crunch. 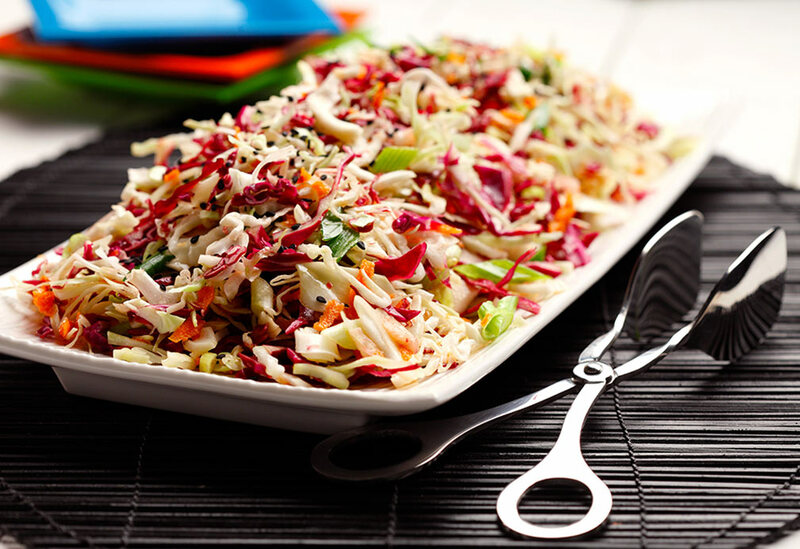 Much lighter than a classic coleslaw, pack it along on your next picnic or enjoy as an accompaniment to fish, chicken or grilled tofu kabobs. 1. 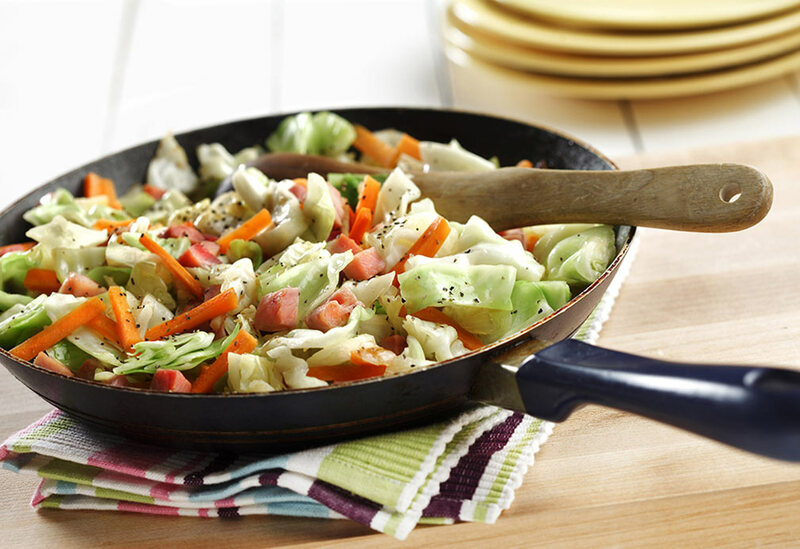 In a large bowl, combine both cabbages, onion, carrot and sesame seeds. 2. Prepare dressing by shaking together rice vinegar, canola oil, garlic, ginger, soy sauce and sesame oil. 3. 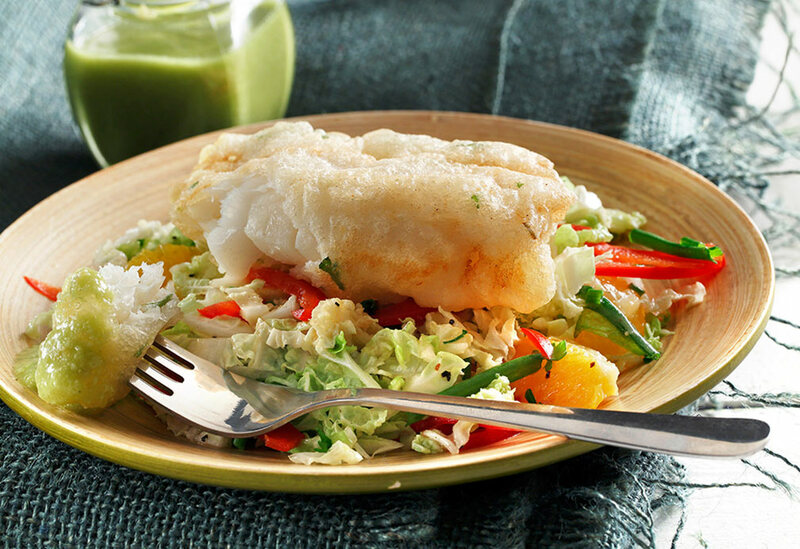 Pour dressing over salad, toss and refrigerate before serving. Ideally, allow to stand in fridge for an hour or more to allow flavors to mellow. Re-toss before serving. Recipe developed at The Culinary Institute of America by Chef Instructor Almir Da Fonseca. By adding ham at the very end, the "smoky" flavours are not lost in the dish.